Free by Nature: Perfection anyone? "Hence [God] is spoken of as universally perfect." Every child – from the moment of conception – comes with an inalienable right to something that also comes with whatever is needed to bring that something to completion... batteries included, so to speak. This something can best be described by a rather technical term: 'entelechy', a word which not only describes the power of self-completion but also expresses the presence of an inward knowledge of what that completion actually entails. Entelechy is usually understood to mean 'perfection' and has come to us mostly via the Greek philosopher Aristotle. 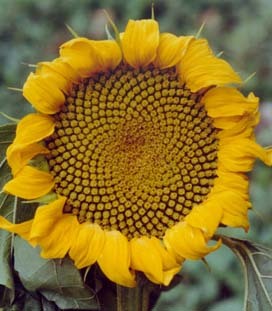 It has its roots in the Greek word telos which means end, goal or finish. Another word that Aristotle liked to use - especially when he was listing the attributes of God - was the word teleios, a word that is usually translated by the word 'perfect'. It would be good however to find out if Aristotle, when he used the words entelechy and teleios, if he actually understood 'perfection' the same way we currently understand or interpret that word. "Be you therefore perfect as the father in the heavens is perfect." Clearly a saying that parallels Aristotle's and Thomas' views, so it looks like we are on target! The word that Jesus used for 'perfect' was either the Aramaic gemara (gmr, complete) or the Greek teleios, or both, as Judea was very Hellenistic or Greek-minded in those days! The problem is, that in their context either word usually gets translated and interpreted as 'perfect', a kind of perfect though that tends to include the moral connotations of 'being without flaw' or 'being without sin'. This interpretation of flawlessness though (even if only subtly suggested or alluded to) is not correct, especially when we consider that the meaning of the Aramaic gemara is 'completion'. When, in addition, we find that the word 'perfect' itself derives from the Latin per-facere which like gemara also means 'making full' or 'completing', we can be sure that 'being without flaw' or 'not being sinfully inadequate' was not assumed to be included in the meaning of perfection at all. Thus, when we encounter words like 'perfect' or 'perfection' in the translations of texts from the sages of yore, and if we want to clearly understand their original meaning and intent, we need to exclude any suggestion of 'being without fault' or 'flawlessness'. In addition, if we want to be close to the original meaning and intent of Aristotle's, Thomas' or Jesus' words, our understanding and interpretation of the words 'perfection' and 'perfect' must include a strong sense of dynamic process. It follows then that the process of completing, the process of being made full, the process of bringing to an end is much closer in meaning to the original historical intent of the word teleios or its translation: 'perfect'. Teleios stems from telos as in teleology. Telos means goal, mark, target, end. 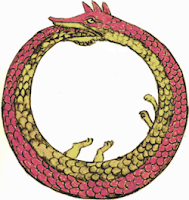 Perfection then, in those classical days, was seen as a process, a cosmic (3) process of circular, perhaps spiral karmic repetitions, recurring iterations of alpha-to-omega, the idea of a continuous creation going full circle, as depicted by the symbol of the ouroboros. If (that is 'if'!) creation would ever be nearing its end, it would become teteleios, it would be reaching a fuller completion! Completion though is a dynamic state of affairs that is not to be understood as something final, or something 'all good and done without fault or blemish'. Something that is perfect or complete is to be seen as something perfected through a process that naturally, dynamically and organically includes... 'trial and error'. Keep in mind though that the word 'error' (which is related to the word 'errand') originally and etymologically did not contain any suggestion of fault... in origin an 'error' was a natural part of being on a search, on an errand: trying to find your way. According to current science (and in line with the meaning of perfection as expressed above) it is theorized that the universe's evolution is not over... in fact... never over. Yahweh's "It is all good!" might have been a bit premature. When did the moral meaning of 'perfect' in the sense of without fault, flaw, blemish or sin, come into use? The history of the word telos goes back to the days of the bow-and-arrow. 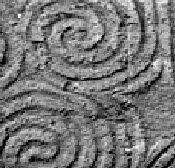 Telos had to do with a set of concentric-circles-around-a-dot, but also with a spiral zooming into its centre. A telos was the target that was used to train warriors throwing catapults or shooting arrows. Missing that mark when shooting an arrow or manipulating a catapult was called hamartia: "not being (ha) on target" in Greek. It was only in the time that the gospels were being written, edited and reedited (after Jesus' passing) that the word hamartia begin to take on the meaning of 'sin' or 'being morally in debt'. 'Missing the mark' or hamartia (4) came to mean 'sinful' only during the formation of institutional Christianity when 'not missing the mark' or 'being perfect' began to mean 'having no flaws' and 'being all good'. But as pointed out above, Aristotle and even Jesus did not have that understanding of the word teleios as morally good and flawless (or that someone could be a sinner or a no-good). For them life was a process of continuity that even included pain, failure and flaws... the same way the Buddha saw suffering (dukkha) and change/transience (anitya). Aristotle's word 'perfect' in 'God is Perfect' thus has a different meaning than 'being flawless'. 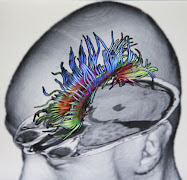 His 'perfect' has to do with the evolving dynamics of the universe, the movement of stars and planets in circles and spirals – the idea of creation... which even includes processes that can seem to be off-target (hamartia) but which in the larger picture may not be off target at all. Perfection is never a solid non-dynamic state. Perfection is never 'in stasis'. A simpler form of this symbol, but predating it by some two thousand years, can be found in the world's oldest and still undeciphered writing: the Indus Valley script. 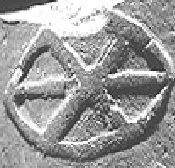 This symbol may well stand for DHA or RA, Sanskrit roots meaning the celestial divine (the sun), the giver of life. 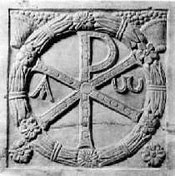 DHA is found in words like deus, dieu, Jupiter, Zeus, theos, all having to do with divinity or deity. This leads us back to Aristotle who, when he described divine, creative and cosmic aspects, always pointed to the perfection of the heavens... just like Jesus did when he said, "Be you therefore perfect as the father in heavens is perfect." The heavens are not some abstract abode (Greek: en tois uranois) for heavenly gods! Instead, they are the havens – earth included – of heavenly bodies, the 'bodies' of all things and entities – humans included. But let's return to entelechy, the process of completion, that bringing-to-an-end of something. An end though, that appears to be receding forever as the process itself is unending… the goal or target always being there but finessing itself to a finer and finer resolution as the process of fulfilling and per-fecting keeps working its ways. Aristotle’s process of perfection is a natural growth process, one in which the end condition is that in which the initial planned potentiality is forever becoming an actuality… but gradually finer - with a sharper resolve as the process goes on. Entelechy is more than an abstract plan, as it also contains hope and confidence for the fulfillment of its expectations. It is more than a multi-dimensional blueprint, as it is also imbued with the innate generative energy (KI in Sanskrit) necessary to bring the 'plan' to an end (telos) and completion. We could represent entelechy visually with the symbol of a pinecone, a kind of proto-form that pre-visions and ener-getically holds within it what a completed pine tree will be when all conditions are as they are supposed to be… when everything unfolds as it should. 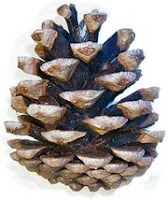 A pinecone even contains a myriad of seeds within it to secure the generous continuity of its own species: the pine tree that produced the pinecone. "It were well for him if a millstone were hanged about his neck, and he were thrown into the sea, rather than that he should cause one of these little ones to stumble." (3) ...perfect as the father 'in heavens' or 'en tois uranois' in Greek. (4) Consider the following collection of words: matter, haMartia, mark, maya, make, manas (Sanskrit mind), man, manipulate, la main (French hand). Many words that start with MA have to do with hand-ling, shaping, seizing and measuring manually… by hand. Even the Sanskrit manas or mind expresses that: the mind gets its data from hand-ling or per-ception. (Perception literally means 'capture by hand'.) We still find this Aryan/Sanskrit root MA in the French main, the German machen, the English manipulate, make, manufacture, measure, matter (even meter) and yes… in the Sanskrit word maya which originally meant 'the world of tangible measurable phenomena or matter'. (5) Detail engravings from the Newgrange Tomb in Ireland, 3000 BCE. (7) As seen in the Pinecone Fountain, Vatican City Museum. In the wedding ceremonies of old (especially the royal ones) based on rich pagan customs and fertility rituals, newly-weds were presented with pinecones. 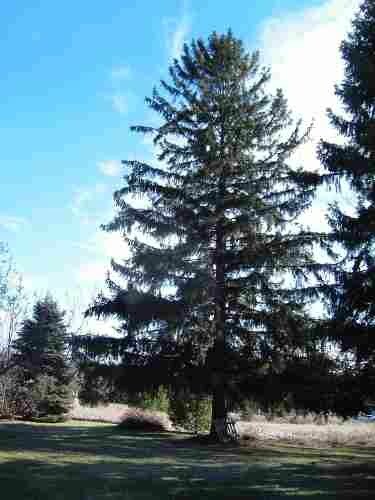 One can still see pinecones on the posts of nuptial beds and the balusters that led to the noble chambers. 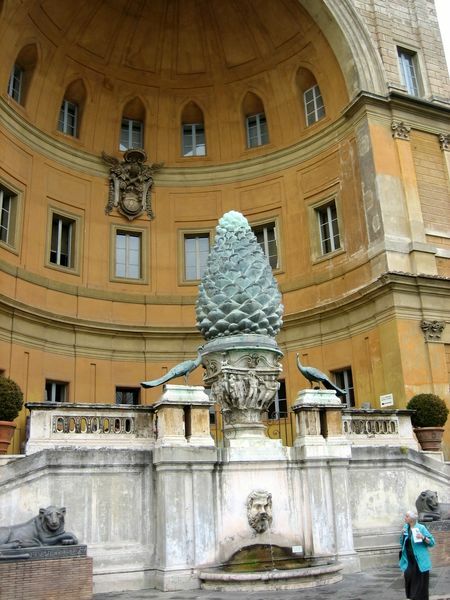 Outside, on the terraces of French chateaux one still sees stone pinecones in all sizes. (8) An inner self-healing mechanism called 'Kundalini' is based on this potency, a restorative energy that heals on all levels of human reality: the physical, creative, volitional, emotional, vocational, intellectual and spiritual.